Asian skins are more prone to acne compared to other skin types, due to high levels of oil. In the tropical countries like Singapore, Malaysia, and Thailand humidity levels are high compared to other countries of the world. Due to this, atmospheric moisture content is usually high leading to oiliness and acne problems. Acne problem can affect both your personal and professional life. It could decrease your self-confidence, make you lose friends, and could affect your job as well. It is extremely important, especially for women, to maintain a good skin. There are many solutions to cure the acne problem. You have to make sure that the oil reduces in your skin while the moisture content remains the same. An amazing solution to the problem is MD Dermatics Acne Fighter. It is easy to use and has rapid action properties. 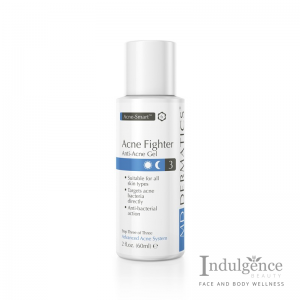 The acne fighter comes as thick gel which when applied to your skin clears acne and stops further expansion on your skin. It also results in improved cellular activity with enhanced levels of cell regeneration. Antibiotic nature targets bacteria and other microorganisms which promote acne. Antioxidant properties fighting free radical, making your face look radiant and more beautiful. We have been providing skin care services to our valued customers for many years. With our state of the art technologies, we manufacture products which are of top notch quality. We believe in customer satisfaction and give it more importance over anything else. For us, making skin care products is more than just a business. We have a team of professionals which with their years of experience are always ready to help you out. Consult: The foremost step is a consultation process. We will arrange meeting with professional doctors allowing you to talk about your problems. Analyze: The second step involves analyzing of your problem. We diagnose your skin, using high-tech procedures and the recommend to act accordingly. Recommend: We will recommend skin care treatments depending upon your problems. Our MD Dermatics Acne Fighter is suitable for all skin types. Manage: The final step is to guide you help you get a better skin in the longer run. 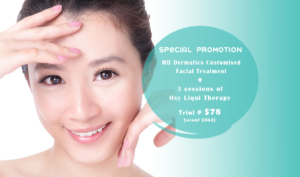 We will maintain a constant contact with you, to help you maintain a good skin for longer periods of time.